Dolphins are some of the smartest and most playful animals on the planet so it’s no wonder they enjoy some good sport from time to time. What better sport for the graceful swimmer than surfing? 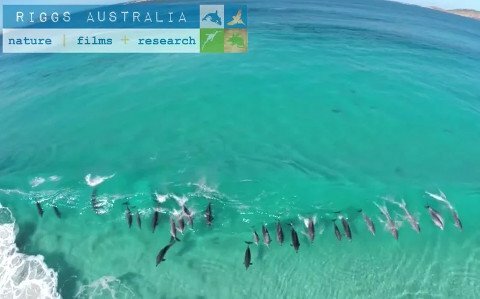 In this video from Riggs Australia a pod of dolphins can be seen surfing the waves off Esperance along southwestern Australia’s beautiful coastline. Shot from aerial drone quadcopter, these bottlenose dolphins dart through the crystal clear waves soaring through the air on the other side. Dolphin Cove – Esperance WA – Original from Jennene & Dave Riggs on Vimeo.